Thanks to our 2018 Top Solar Contractors! When the majority of recent solar headlines have been about panel tariffs, company restructurings and policy swings, we at Solar Power World were relieved to focus on something more positive: the stories coming from the industry’s true backbone of installers, developers and contractors. 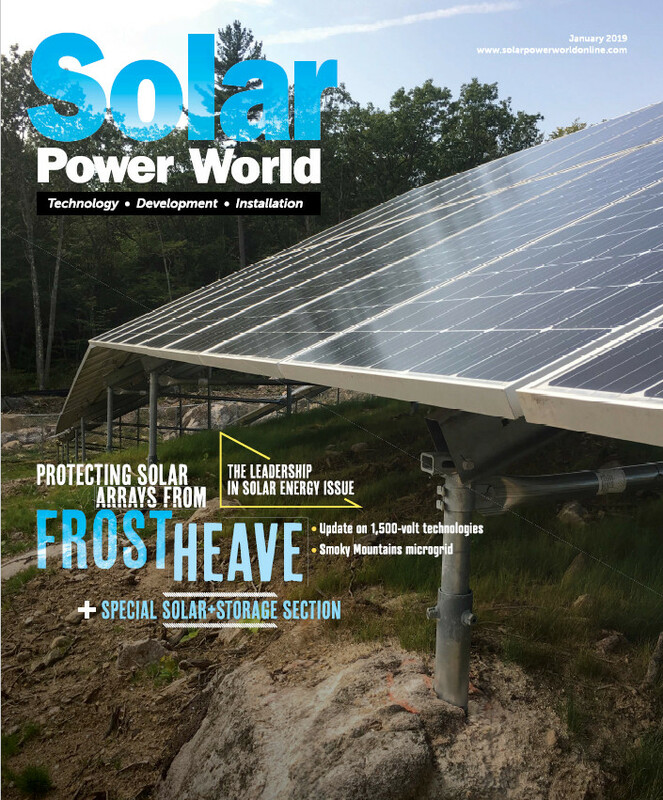 Welcome to our 2018 Top Solar Contractors issue! Now in our seventh year, the entire Solar Power World team enjoys catching up with our hundreds of contractor friends as we prepare the annual Top Solar Contractors list. We heard stories about surviving Hurricane Irma with no damage to solar arrays, building projects around wild animals and more than a few mergers and expansions. The last year has been anything but boring, and we try to highlight installation companies with unique perspectives on a crazy news-filled industry. You may notice a few big names missing from our list this year and see we’re only featuring 450 companies. Since this list recognizes the previous year’s installation numbers, many companies did not want to broadcast their 2017 dips in installations after 2016’s explosive year. A number of companies told us that 2018 will be a better installation year, and they’ll be ready to apply in 2019. We’re very happy to hear that you all are in the middle of an installation heyday, and we look forward to celebrating those numbers in 2019. In the meantime, it’s time to dig in to the 2018 Top Solar Contractors issue. We hope you enjoy our extended features on installers across the country. Any time we don’t have to read the word “tariff” is a good day in our books! Congratulations to all contractors involved this year! You are the reason we even have stories to write and an industry to be proud of. See everyone at the Top Solar Contractors Gala in the fall! Is it still possible to get a printed copy of this issue sent to me? Are you a solar installer featured on the list? We do not have many copies left and are saving them for listees. The digital edition is your best bet. Can I order a copy of the July publication? Hi Drew, I can mail a copy to you if you email me your address. My email is kmisbrener@wtwhmedia.com.